This delicious dip with freshly picked oregano and aubergine is highly versatile. 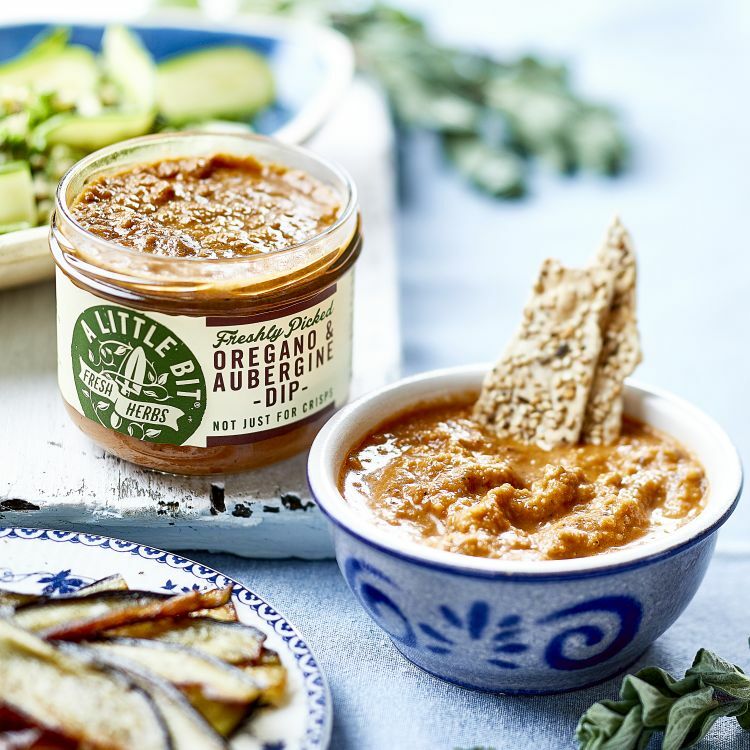 Perfect for dipping crisps, warm crusty bread or crackers in, on bruschetta or as part of a mezze platter or canapes. You can use it as a pasta sauce too, simply stir through warm pasta. 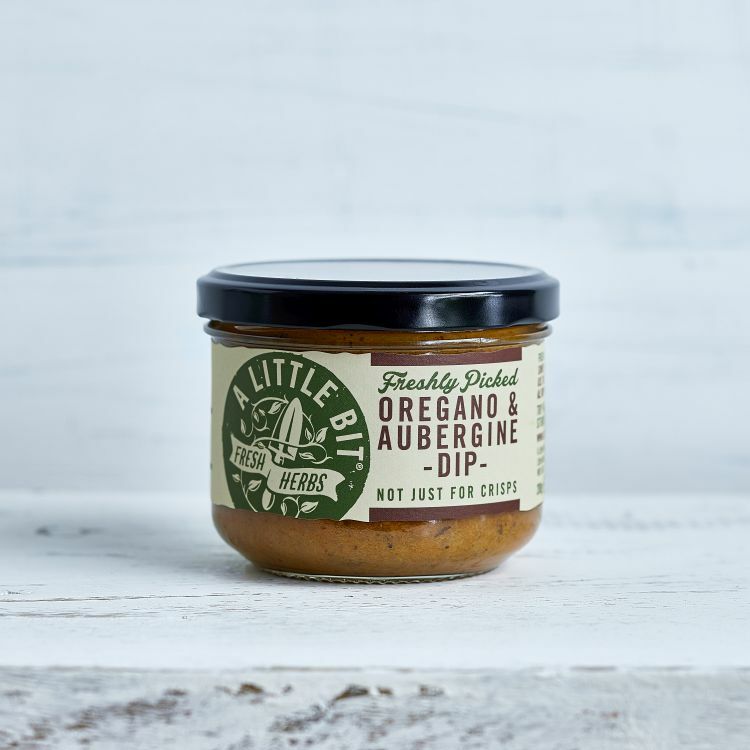 A Little Bit Food Co pick only the freshest herbs for their tasty dips to capture that just-picked taste and add fantastic flavours to your cooking. 6 Jars per case. Each jar is 200g. Shelf life: minimum 6 months. Aubergine, Tomatoes, rapeseed oil, Onion, Water, Red wine vinegar, Dijon mustard ( water, mustard seeds, spirit vinegar, salt ), Garlic, Balsamic vinegar, Salt, Brown sugar, Fresh Oregano, Black pepper. Mediterranean style dip, this has a Mediterranean taste. Mediterranean style dip, this has a Mediterranean taste. It had a good thick texture, not runny like some dips. Particularly good as gluten,diary and vegetarian. It is something I will definitely buy again when entertaining because of that. Very enjoyable. Fresh herb-based vegan friendly sauces, dips & marinades - making your meals a little bit more special.